The Nipah virus or NiV infection has symptoms like breathing trouble, inflammation of the brain, fever, headache, drowsiness, disorientation and delirium. New Delhi/Thiruvananthapuram: After three confirmed deaths from the mysterious new "Nipah virus" in Kerala's Kozhikode, the centre has sent a team to the southern state. More deaths with similar symptoms have been reported but officials said medical tests were needed to confirm the cause. Union Health Minister JP Nadda tweeted on Sunday that he had asked the chief of the central disease control body to visit the affected district and take steps. The Director of National Centre for Disease Control is expected to lead the team and work with the state government to try and contain the infection. Kerala Chief Minister Pinarayi Vijayan's office tweeted that a statewide alert has been issued and that the government has opened a 24-hour control room to monitor the situation. 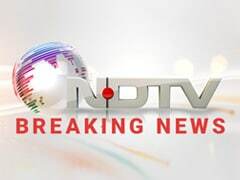 Two of the victims were brothers; the third, a woman, was a relative who had visited them in hospital, Dr Reena, Additional Director of Communicable Disease in Kerala Government told NDTV. The first death was reported on Saturday, the Chief Minister's office said. At least eight people, suspected to have contracted the Nipah virus, are being monitored in a special ward in Kozhikode Medical College as well as three other hospitals. "Their blood samples have been sent for further confirmation. They are mostly people who were in contact with either of the three who died," Dr Reena said. The Kerala government has instructed private hospitals not to deny treatment to anyone suffering from fever. The Nipah virus or NiV infection has symptoms like breathing trouble, inflammation of the brain, fever, headache, drowsiness, disorientation and delirium. A patient can slip into coma within 48 hours. There is no vaccine for the virus yet, says WHO. The main treatment for those infected is "intensive supportive care", says the UN health body. Lok Sabha MP and former union minister Mullappally Ramachandran has asked for the central government's intervention to contain what he called a "rare and deadly" virus. Mr Ramachandran has said in a letter to the Health Minister that some villages in his constituency have been infected. Doctors believe the virus spreads fast and is mostly fatal, said the parliamentarian. "The mortality rate is reportedly 70 per cent. The spread of the disease needs to be contained," Mr Ramachandran wrote. NiV can also infect pigs and other domestic animals. The natural hosts of the virus are fruit bats of the Pteropodidae Family, Pteropus genus. NiV was first identified during an outbreak in Kampung Sungai Nipah in Malaysia in 1998. In 2004, many were infected in Bangladesh after consuming date palm sap contaminated by infected fruit bats. The virus is transmitted through direct contact with infected bats, pigs, or from other NiV-infected people. Doctors advise that fruits strewn on the ground should not be eaten, for safety.